The City of Johannesburg has issued green bonds to finance investments in projects that help the city to mitigate and adapt to climate change. By issuing green bonds, Johannesburg is a front runner in finding new funding sources for sustainable urban projects. Johannesburg’s green bonds are worth approximately $143 million, and help to fill gaps in much-needed development finance for city projects focused on climate change mitigation and adaptation. The funding is used to implement the city’s climate change mitigation strategy. It is also be used to accelerate projects such as the Landfill Biogas to Energy Project, the Solar Geyser Initiative and the deployment of 152 hybrid buses. Johannesburg is working with the C40 Sustainable Infrastructure Finance Network and the Climate Bonds Initiative to share the financing model with cities across the globe. Green bonds have taken off over the past few years as a promising new source of funding for city initiatives. The City of Johannesburg experienced great interest from investors as the bond auction in 2014 was 150% oversubscribed. One of the city council’s green programs includes the installation of 43,000 solar thermal collectors that saves 22.5 gigawatt-hours of electricity a year and provide low-cost water heating to townships. The green bonds provide the city with an untapped source of funding until today, in order to develop the sustainability and resilience in the city. The projects funded by the green bonds focus on mitigating climate change via renewable energy and sustainable urban infrastructure, thereby championing climate action. Green bonds tap into a new and international investor base interested in targeted sustainable investments – developing novel financing partnerships for sustainable development. 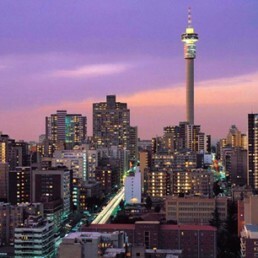 Johannesburg is the largest city in South Africa and the capital of the Gauteng province.